Larger FHA Loans from Millennial – What this might indicate? 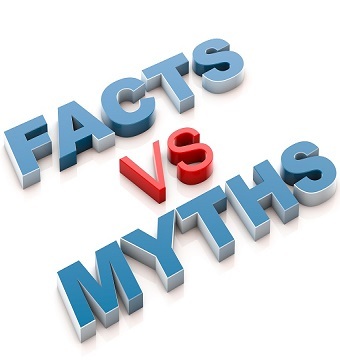 What FHA Loans might mean to the real estate industry and the stakeholders involved? Mortgage loans are the major sources explored by homeowners to purchase their dream homes. For millennial, the FHA loans have become the perfect route to making homeownership a seamless feat. In this article, we will look at what FHA Loans might mean to the real estate industry and the stakeholders involved. An FHA loan is a mortgage loan backed by the government and insured by a country’s Federal Housing Administration. 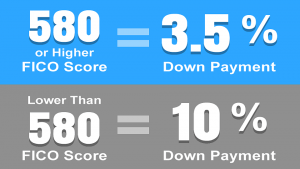 It is designed for homebuyers who have low credit scores. Individuals taking an FHA loan enjoy significantly low down-payment of around 3.5% of the home purchase. According to the reports provided by Ellie Mae Millennial Tracker in November 2018, the trend of obtaining FHA mortgage loans has continued to grow remarkably among millennial homebuyers. Based on data, about 26% of all closed loans taken by millennial in November were FHA loans. The average size of the loan was $186,454 which was a significant increase from the earlier $170,167 in November 2016 and $178,862 in loan size in November 2017. Conversely, about 69% of the closed loans offered to millennial borrowers at this same period were made up of conventional loans. This comes at an average of $211,268. Based on the analysis, about 95% of individuals who take out FHA loans use the fund to buy a home while the remaining 5% use it for refinancing purpose. However, about 88% of borrowers taking conventional loans use it for home purchase while the remaining 11% use it for refinancing. The November data as presented by Millennial Tracker indicates that millennials are taking larger FHA mortgage loans to purchase homes more than they were doing in the past. According to the Executive VP of corporate strategy for Ellie Mae, Joe Tyrrell, the average appraisal value of homes based on the closed FHA loans for the month of November in the region of San Francisco was around $562,479, which was significantly high when compared to last year’s $523,192 and 2016’s $438,694. What this means is that millennials are not waiting around for affordable homes anymore, rather, they are increasing their loan capacity to buy homes that are readily accessible in the market. All across the country, this group of borrowers is taking larger FHA mortgage loans compared to what is obtainable in years past. Having established the fact that millennial use the larger part of the FHA loans they obtain to purchase homes, it is reasonable to consider the types of homes they prefer. As you might have already known, the millennial are the largest population on earth and their value system and tastes are quite different from the generation before and after them. This taste is extended to the kind of homes they prefer and the neighborhood they prefer to reside. When it comes to housing, the millennial prefers comfort, and cost-effectiveness, which makes condos a great choice of property for them. There are specific reasons why condos are the preferred choice for this group of interesting homeowners. 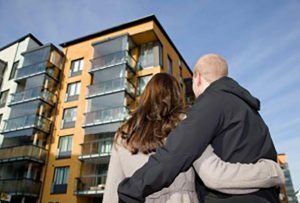 Purchasing a condo is much more affordable than buying a house. It is therefore not surprising that millennials prefer to buy a condo than a house. For them, it is a great investment that has greater returns in the long run. Major expenses in condos are shared among residents. Condos residents are required to pay maintenance fees which cover basic maintenance expenses for things like window cleaning, snow shoveling, gardening, and stuff like that. Some parts of the fund also go into repairs and replacements of the broken or damaged roof or windows. These means condo owners don’t have to worry about paying for such expenses out of pocket and this fits the lifestyle of the millennial perfectly. For the millennial, there are some things that cannot be done without. Millennial is constantly looking for anything that makes life fun, engaging and interesting. Having all these within their reach means a lot to them. They want access to recreational facilities such as Spa and pool, sports facilities such as tennis court and gym, and many other amenities that make for comfort and seamless living. Interestingly, condos have all these to offer. Naturally, many millennial cannot afford to purchase a house in trendy locations. However, condo makes up for this in a long way. They can buy a condo in locations that would ordinarily have been out of their budget if they were to consider buying a house. What do all these mean to the Flooring Industry? Millennials are known to go for things that are dynamic, cost-effective, and urban. If they are willing to take larger FHA loans, and if their preferred home choice is the condos, then what is the implication of this for the flooring industry? With the increase in preference for the condo by this unique generation, there will be a significantly high demand for condo renovation. When you purchase a home, it is natural to want to give it a facelift and incorporate your personal effect in your new space. The millennial generation is no different; as a matter of fact, a millennial would want his personality to dominate the condo, which sometimes means a total overhaul of the space. Generally, an integral part of this renovation process entails a new flooring installation. This means there will be an increase in the demand for flooring materials. Millennials work with trends and whatever is trendy in the flooring industry is absolutely what they will opt for. Interestingly, it seems that vinyl plank flooring is the newest condo trend in the industry. In place of carpets, luxury vinyl plank floors seem to be taking over the spotlight. The reason for this is quite obvious; the latter offers a more stylish look and feel while providing long term savings on the property. Luxury vinyl plank is becoming a preferred choice of flooring material for many homeowners, including millennials. 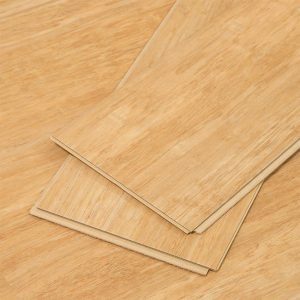 With the growth in the trend for the demand of this home flooring material, there is a high likelihood that there might be more purchase of luxury vinyl planks for condo renovation. There are various reasons for the preference and top among them is better long term benefits when compared to the carpet and some other flooring materials. The luxury vinyl planks floor does not need to be replaced often as its average lifespan is about 20 years. Its stylish and sophisticated look is also one of its strong points. The luxury vinyl plan comes in a different look and feels, ranging from wood, ceramic tile, and stone. Bearing in mind that millennial loves making a statement with their space, the luxury vinyl plank is the perfect choice of statement maker for them. It looks and feels expensive more than the actual cost and it is more forgiving than many other flooring options. They come in a wide array of colors, textures, and finishes; and they are installed like real wood flooring. 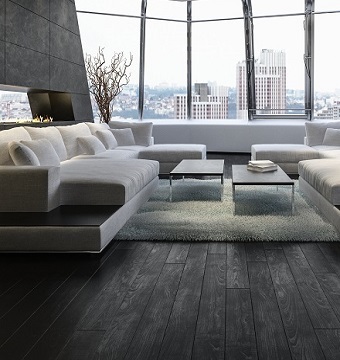 Another important factor why there might be an increase in the demand for luxury vinyl planks for condo renovation is the flexibility of use. It can be installed in practically any room, including the living room, bedroom, dining room, bathroom, and the kitchen. This is mainly because it is highly moisture resistant and makes space look larger than it really is, especially if installed across the whole condo. In summary, we believe that the larger FHA loans and the preference for condos from millennial will positively impact on the flooring industry, and specifically, the luxury vinyl planks market.